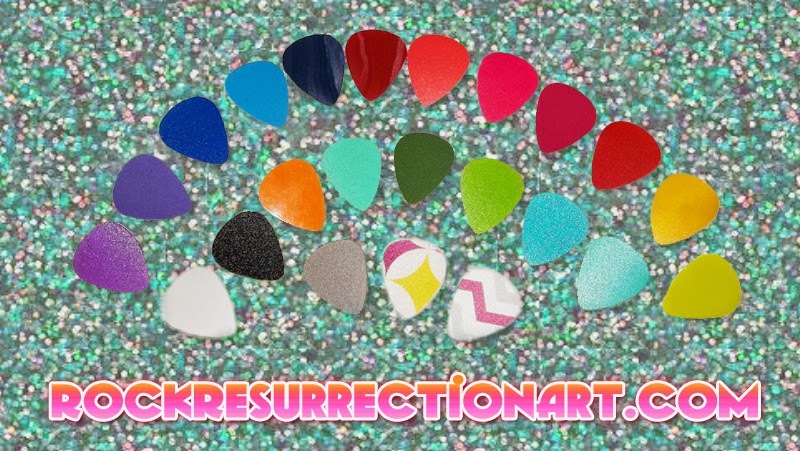 Rock Resurrection Art : All the available colors! 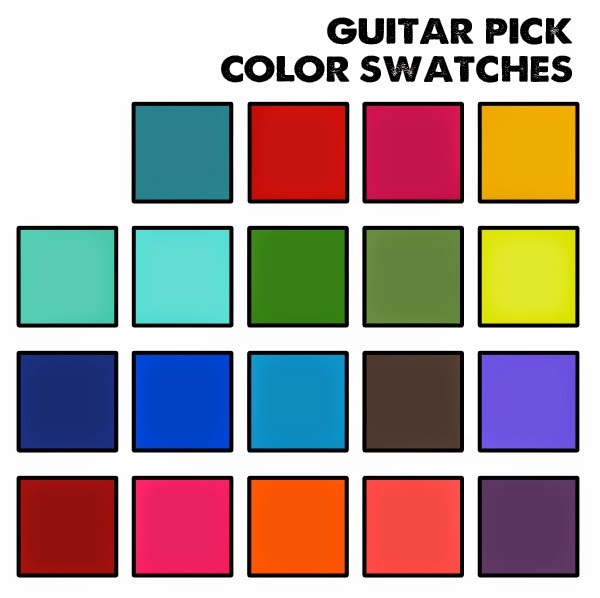 I recently took NEW photos of all the guitar pick colors I have available! 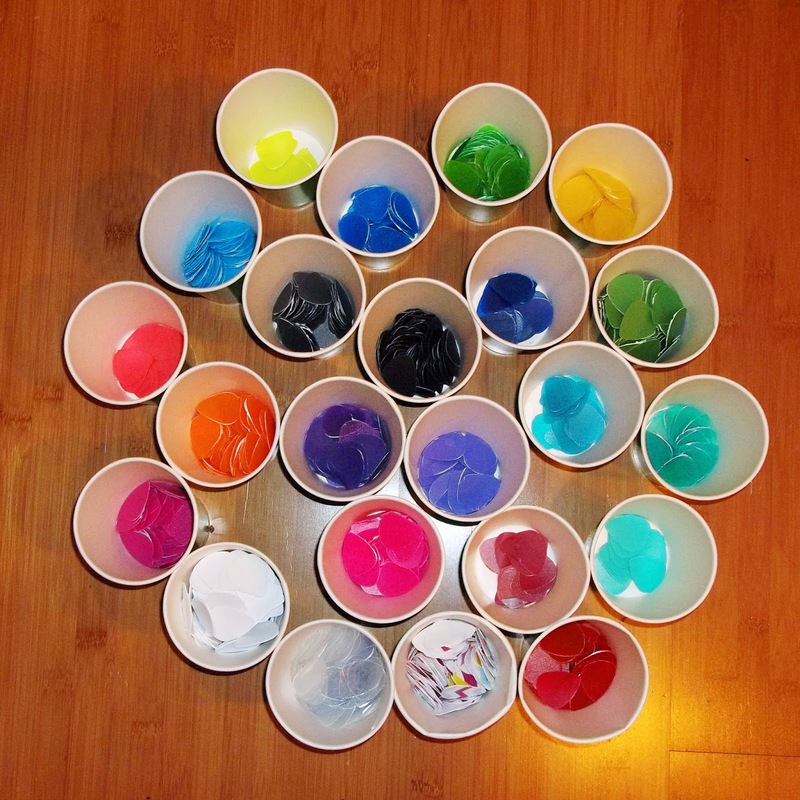 I also did color swatches of them which is at the bottom of this post. What colors do I have? Well I currently have Black, White, Blue, Green, Gray, Pink, Purple, Red, Clear, Yellow, Teal, Orange, Salmon, Light Purple, Light Green, Light Blue, Hot Pink, Mauve, patterns Zig Zag and Harlequin. Although the goal is for all the plastic guitar picks to be playable/usable, each piece of material varies in density. Some might be thinner and some thicker. However, I would recommend them as earrings or part of a charm! Custom colors guitar pick earrings can be found here! If you're interested in a pack of 6 random multi-colored picks go here! For now there is no way to allow customers to choose 6 individual pick colors. So I just pick 6 of the most sturdy ones at random.